Radio-Canada Estrie Reports and La Presse – Tribune made during the announcement of the official site of the demonstration plant. 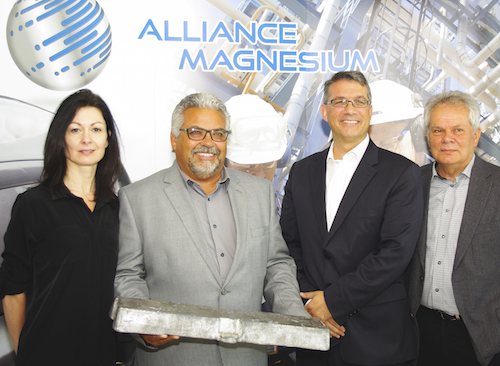 ALLIANCE MAGNESIUM INC. (“Alliance”) has reached an agreement with Magnola Metallurgy Inc. and Magnola Mining Inc. (subsidiaries of Glencore Canada ) that allows it to benefit from industrial facilities on the site of the former Magnola plant in the Eastern Townships in Quebec as well as giving access to the gigantic halls of serpentines for establishing its demonstration unit. BROSSARD, QUEBEC, CANADA – April 28, 2015. Alliance Magnesium Inc. (“Alliance” or the “Corporation”) announced today the nomination of Guy Adam as Vice-President Sustainable Development. Guy Adam is currently the president of Kosmos Innovation Inc. a company involved in the environment technology commercialization. 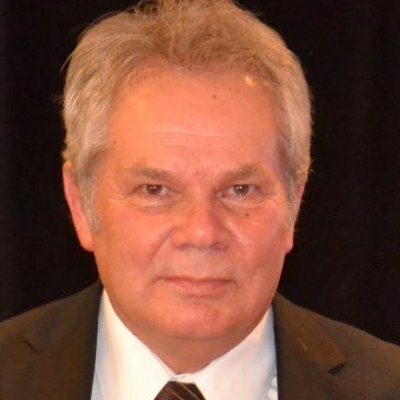 Prior to joining Kosmos, Mr. Adam has been the Executive Vice President of Newalta Corporation, a $650M revenue leading provider of innovative, engineered environmental solutions for disposal, recycling and recovering valuable resources from waste streams. Mr. Adam also worked for CLEAN HARBORS inc. as Vice-President of the Canadian operations. Mr. Adam has more than 35 years of management and technical experience in the environmental business. He started his career as a chemical engineer part of the ICI group. Alliance is also proud to announce the nomination of Laury Gauthier as Director, Research and Development. Joël Fournier, CEO of Alliance Magnesium and Martin Tauber, Vice President of Magontec Magnesium discuss supplier strategies: enabling OEMs to maximise on the weight saving benefits of magnesium in high volume production by addressing global availability, overcoming corrosion and reducing material costs.